We’ve been manufacturing these sumptuous GRP seats for several years. The curving design allows for many different break out arrangements and they can be used both indoors and outdoors. Pictured is a 3D render together with an installation at Broadway School new build. 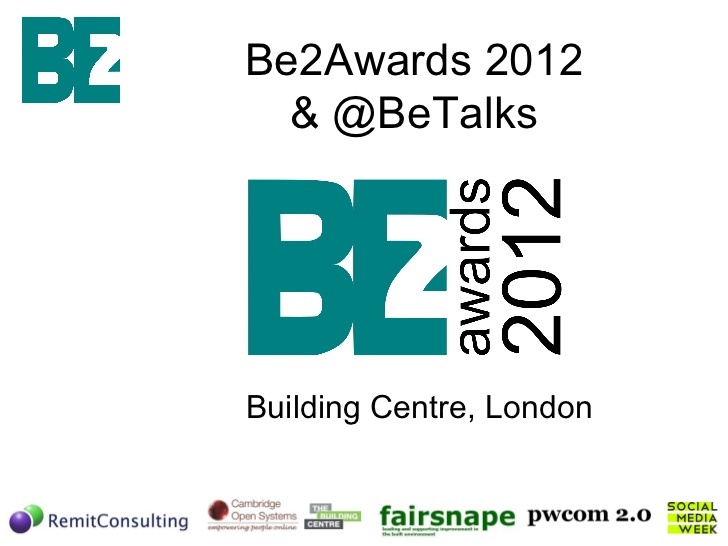 We’re ever so pleased to announce that our work has been nominated in two categories for the inaugural BE2 awards. Cast your votes for us in the Best AEC use of photo/video and Best Education and Learning Award. Cast your votes here ! 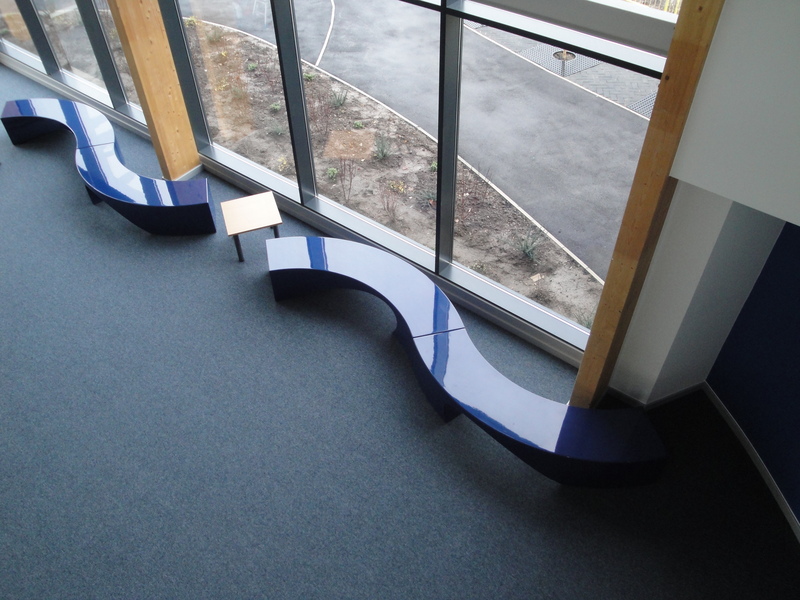 Longfield school have ordered six of our exciting Wave seats to enhance their atrium space. 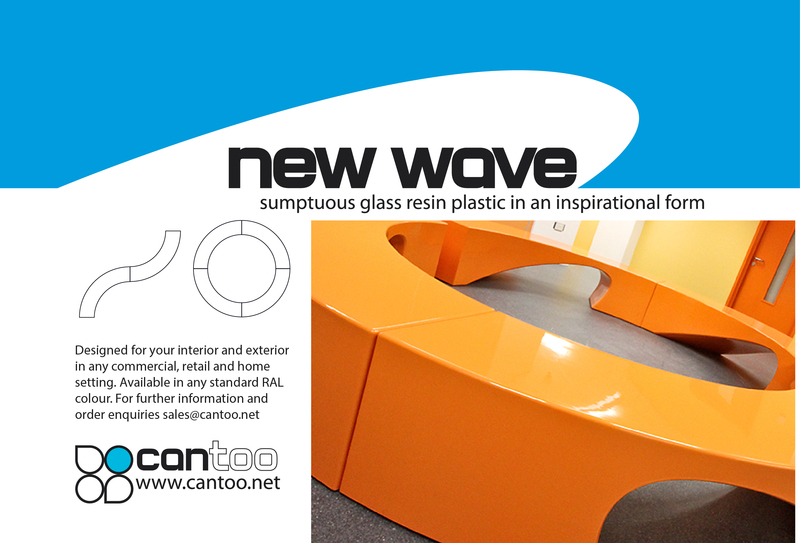 The Wave seats have been designed for both interior and exterior uses in any commercial, retail and residential setting. The seat was shortlisted for the BdI Industry & Genius Awards 2007. 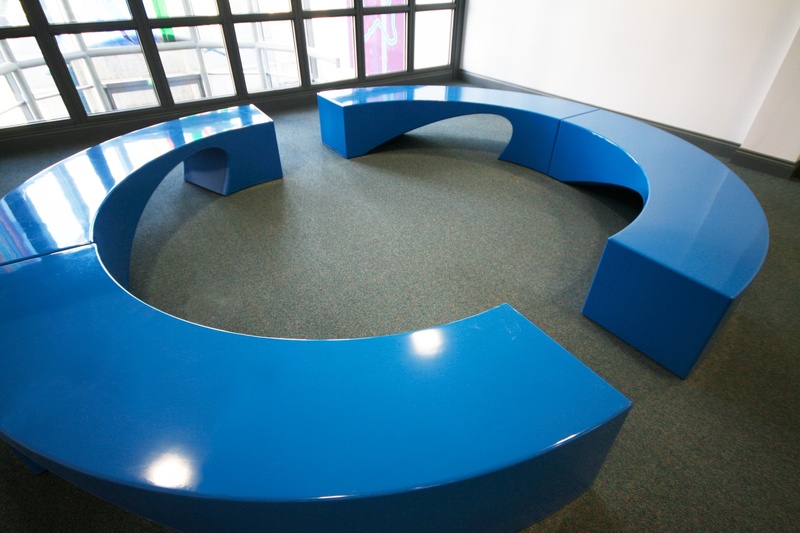 The curved seat is manufactured from polished GRP ( glass resin plastic) and is available in any RAL colour.